Choosing the perfect costume that is both unique and suited to your personality can be overwhelming with the number of options available to you. Costume shops and specialty stores have a number of costumes to choose from. These range in prices from inexpensive to hundreds of dollars and sometimes the expensive ones are not great quality either. If you are looking for a costume to make that is unique and inexpensive, making a battery costume may the right choice for your next costume party. Cut the bottom off of a large, round trashcan using a utility knife. To do so, place the trashcan upside on a stable surface and cut around the bottom edges of the can. Discard the cut out piece. Use a piece of medium grit sandpaper to smooth the cut edges. Turn the trashcan right side up. Use a drill to make four holes in the top edge of the trash can. These holes will be what you tie rope to, creating shoulder straps. The exact placement of the hole will depend on the size of the trashcan and the width of your shoulders. Tie two pieces of 24-inch rope through the holes to make the straps. Spray paint the outside of the garbage can to represent the battery. You can choose to use colors of a commercial brand, such as black and copper for a Duracell battery or silver and black for an Energizer battery. Or you can simply spray the can solid black and add a silver edge to the top and bottom of the can. Allow the spray paint to dry. Stencil the word battery on the side of the can using spray paint. If you choose to color your can to look like a name brand battery, you can replace the word battery with the brand name. Wear clothes that match the color of the can. Place the can over your body so that the shoulder straps rest on you. Adjust the length of the straps if you are not comfortable with the can’s placement. Use caution when using a utility knife. Watch the placement of your hand to avoid cutting it. If possible, wear a cut glove to protect yourself. 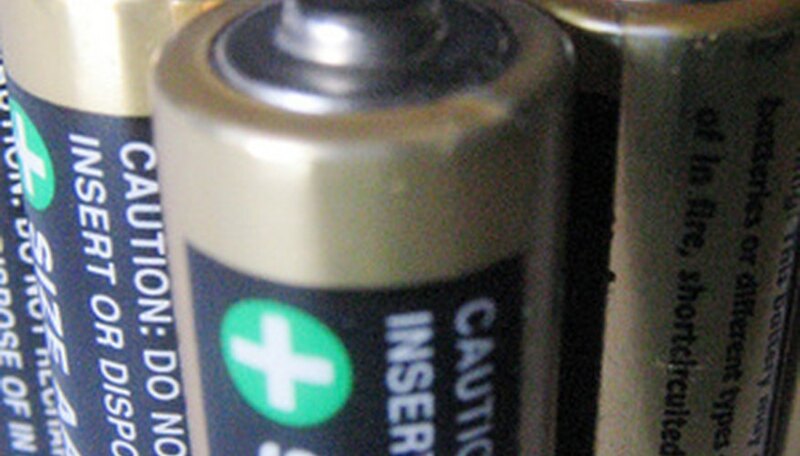 To make a 9-volt battery, replace the round can with a rectangular can. Then make a hat using the lid of the trashcan. Drill holes through the lid and tie string through it to hold it on your head. Make the battery connectors by attaching cut bottoms of plastic cups to the lid before spray painting it.